Jodhpur, India has been submitted to ‘Epic’ on National Geographic. Kristian Bertel has contributed to the National Geographic Your Shot community with an assignment called ‘Epic‘. For this assignment curated by Robbie Shone a National Geographic photographer wants us to photograph something epic. You may not be able to articulate what makes an epic photo, but you can feel it. You know it when you see an epic scene. Something epic takes your breath away. Epic is larger than life. Epic requires you take an extra minute to absorb everything. For this assignment, our goal is to share photos where the community’s reaction should be, “Wow that’s epic”. Epic means insane-on-the-membrane massive! We are going to need to think big and vast, even. This assignment is a great chance to play around with scale. Big spaces, little people. Both in landscapes and the natural world, and also manmade structures like stadiums and aircraft hangars. Inside or outside, the choice is ours. As Robbie is saying it: ”- However, don’t forget that there are epic moments. There are epic experiences. Think about how you use the word “epic” and what it is describes for you. Now think about how you are going to illustrate that visually. Try to incorporate a sense of mystery and intensity from within your surrounding space. Remember not to restrict your creativity in any shape or form. Better photographs will be born out of an unlimited and free visual spirit. So let your imagination run with this. Good luck, I’ll be watching on from the sidelines”, he says. The photographer chose to submit a photograph of Jodhpur in India. 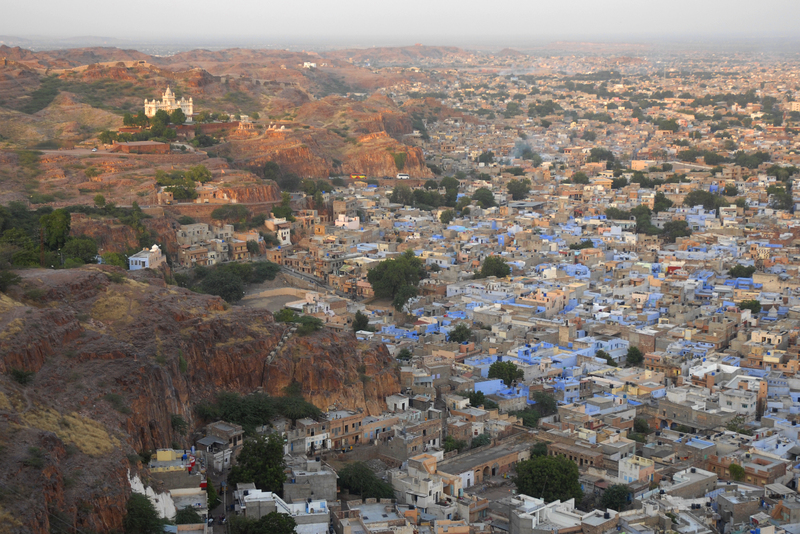 ”- Jodhpur is the second largest city in Rajasthan with almost 3.7 million inhabitants. I had an epic and wonderful view over the city and the hillside Mehrangarh Fort, one of the beautiful sights in Jodhpur”, the photographer Kristian Bertel says. When photographing cities it might seem like a pretty spontaneous thing and at times it can be but many of the most spectacular shots are a result of careful planning. ”- It’s amazing how a location can change depending upon the time of day as a result of light especially so scout out potential locations at different times of the day and consider returning to the same location over time to see what else it might offer. In terms of what time of day is ‘best’ to photograph. I’m not sure there is one but my personal preference is late afternoon or on days which are overcast but where it’d not too dark”, Kristian Bertel says again.